Parents can connect to the online LeapFrog Learning Path for customized learning insights and ideas to expand the learning. With the LeapFrog Poppin' Play Piano, your little maestro can explore a variety of sounds and tones on a colorful, interactive keyboard. This toy piano features various instrument tones and silly sounds, offering your child a way to explore their creative side. It also features four different learning modes that teach early-childhood concepts, including colors, numbers, and musical sense. The Poppin' Play Piano is recommended for children one and older. 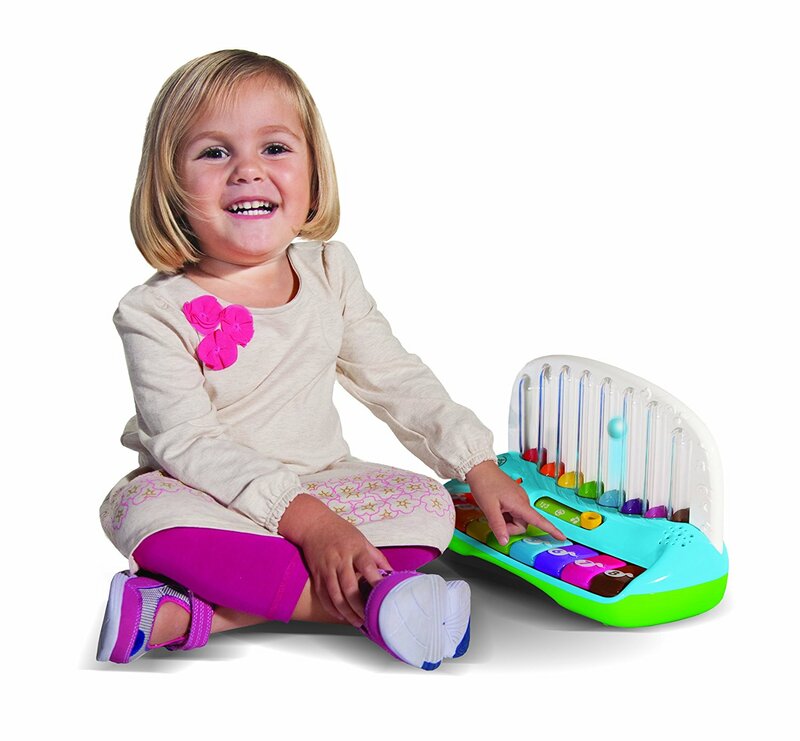 The Poppin' Play Piano is sure to catch your child's eye with its bright colors and whimsical design. When pressed, each of the eight colored keys makes a corresponding ball pop up in the clear tubes behind the keyboard. How high each ball jumps depends on how hard the key was pressed, helping teach your child about cause and effect. And thanks to the adjustable volume control, parents can easily turn down the sound during quiet time. 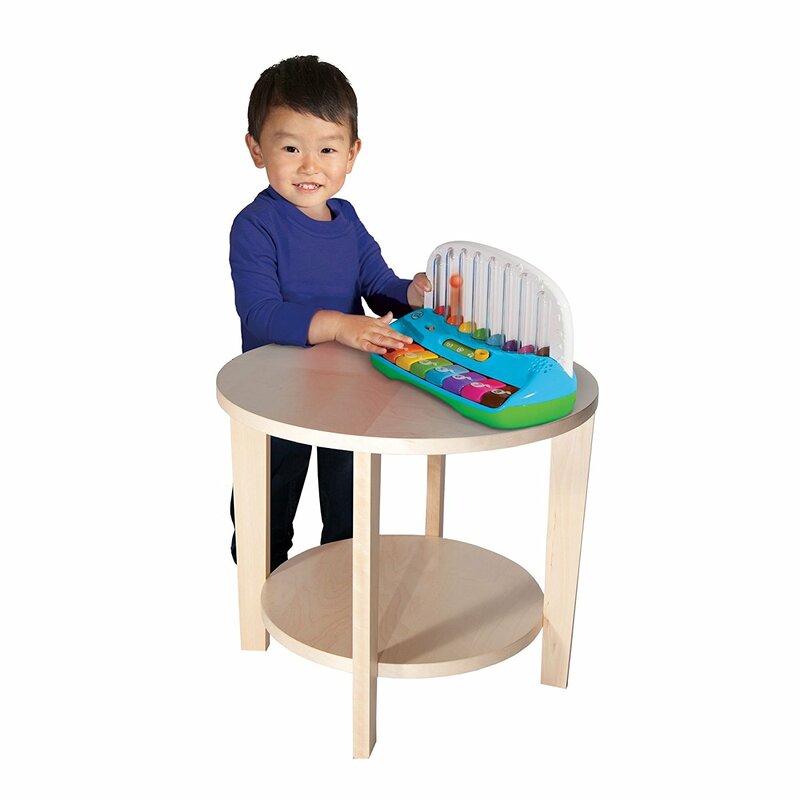 If your child wants to get creative, Music Mode lets them play the Poppin' Play Piano like a regular keyboard. There are eight different instruments to choose from, encouraging kids to explore different sound combinations. 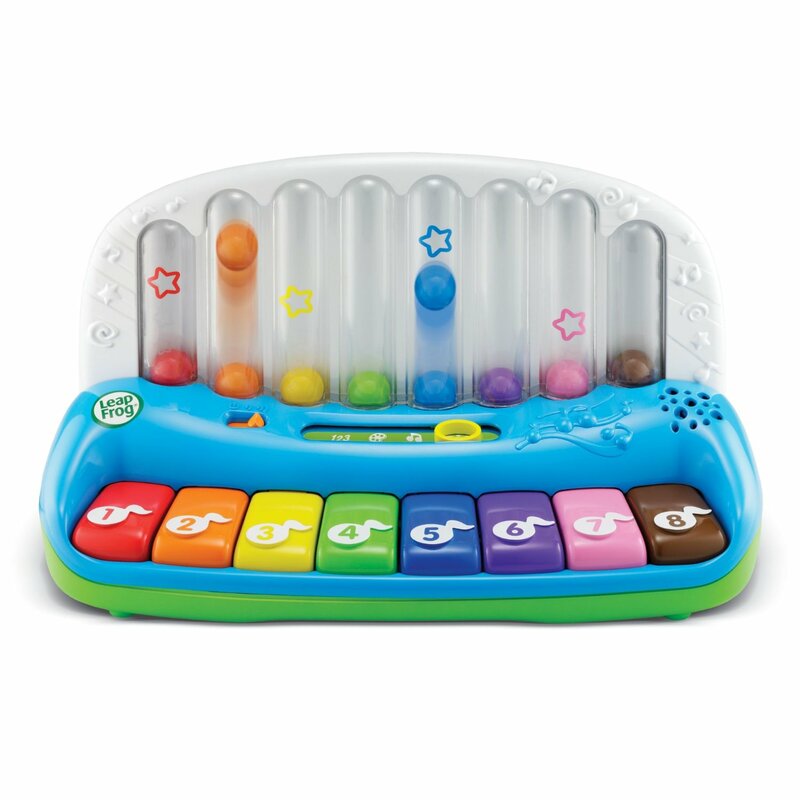 Song Mode offers more creative fun: each key plays a cheerful preschool song, and your child has the option to play an accompaniment. The keyboard can also help little ones refine their motor skills as they practice pressing individual keys. For ages one and up. Requires three AAA batteries (included). Explore 8 colors, 8 numbers, 8 instruments and 8 fun preschool songs as you switch from mode to mode. With each press of the brightly colored keys, matching balls and color names take flight. 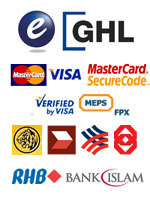 Compose original songs with sounds and instruments, or play and dance to learning songs.